At Last…small business Security Shutters done properly! TI Security has been providing small business Security Shutters and maintenance packages for 50 years, giving us the knowledge needed to ensure you get the best protection for your premises and comply with insurance requirements. Why choose TI for your Commercial Security Shutters? Our commercial Security Shutters and service standards are of the highest quality, so whether you need a new installation, an upgrade or simply an experienced partner to keep everything in working order, you can trust TI. 10,947 businesses have already chosen us, and we want you to choose us too – and we promise we won’t let you down. As a small business, Security Shutters may not be a priority, but they can add an extra element of protection and a valuable deterrent to would-be thieves – and you can choose between manual or electric Security Shutters depending on your needs or budget. Are your current Shutters broken or damaged? Or is your current maintenance provider letting you down? Our engineers will repair, replace and maintain your Shutters without causing any disruption to your business. Our Shutters are perfect for industrial and commercial applications, such as warehouses, offices and manufacturing plants. A great budget option, surface mounted Manual Shutters are easy to use and offer fantastic value. These can be operated via key switch, remote control, loop and radar, smartphone, swipe card or set to open/close based on a timer set to your specific parameters. All of our Commercial Manual and Electric Shutters are galvanised to protect them from the weather and can also be powder coated in your RAL brand colours if you want to maintain an attractive aesthetic without compromising on security. 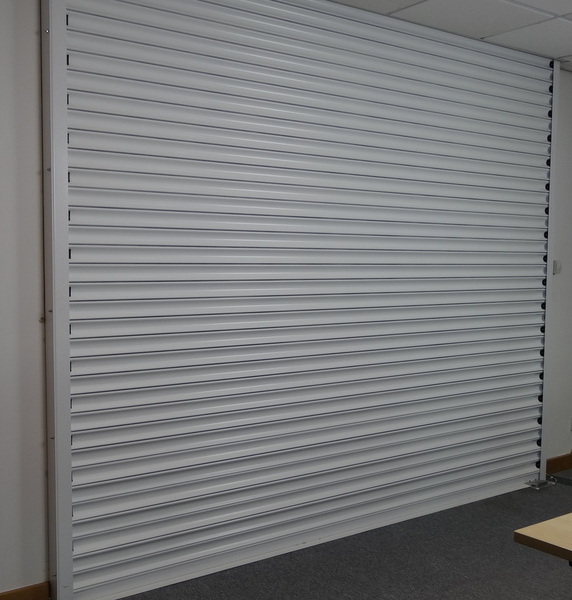 If you have expensive machinery or a large stock inventory, you may be required to have Security Shutters installed, so we’ll make sure you’re fully compliant. If you use your Shutters more than twice a day, they require Servicing every 6 months. We’ll alert you when Servicing is due and arrange to do the job at your convenience. To measure up for your Security Shutters and get an instant price, please refer to the measuring guide and price list. If you decide you want to purchase, let us know and we’ll come along and take final, accurate measurements. Please note that prices don’t include any alterations/building works that may be needed, but we’ll provide a quote for this once we’ve visited your premises. We provide free surveys, fast and transparent quotations and ensure your Security Shutter installation or upgrade suits your timescale. Integrating your Security Shutters with your Intruder Alarm? We can provide 24/7 Monitoring services to keep you safe, and even allow you to keep an eye on things from your office computer, smartphone or tablet. We can integrate your Shutters with a variety of Access Control solutions – anything from a basic keypad Door Entry system to sophisticated biometric functionality. Our buying power and installation experience ensures you get great value for money and reliable, ongoing commercial Security Shutter Maintenance services. We can offer a comprehensive range of Security solutions for your Small Business including Burglar Alarms, CCTV, Fire Alarms, Grilles and Electronic Gates. 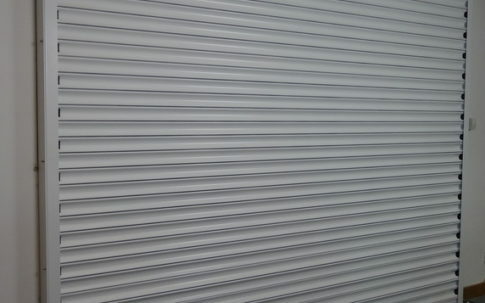 FINANCE Get the Commercial Security Shutters you need, without compromise, by spreading the cost. OPERATIONS & PRODUCTION We’ll install or upgrade your Shutters quickly and efficiently, with no disruption to your business. HEALTH & SAFETY Our engineers work safely and according to the latest health and safety requirements at all times. Got a question about Shutters? We have been using TI Security for many years now and they always meet our expectations and they're always available should we need them!